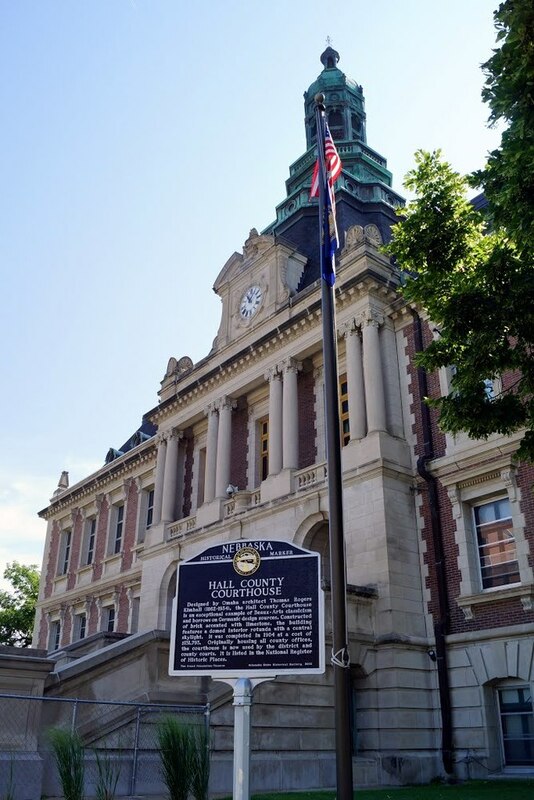 Designed by Omaha architect Thomas Rogers Kimball (1862-1934), the Hall County Courthouse is an exceptional example of Beaux-Arts classicism and borrows on Germanic design sources. 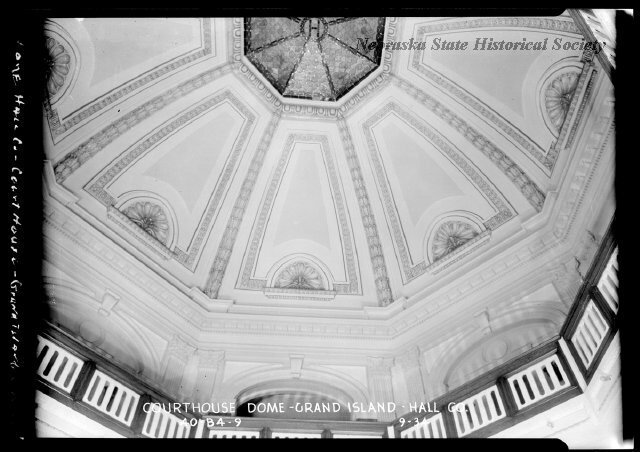 Constructed of brick accented with limestone, the building features a domed interior rotunda with a central skylight. It was completed in 1904 at a cost of $131,793. Originally housing all county offices, the courthouse is now used by the district and county courts. It is listed in the National Register of Historic Places. 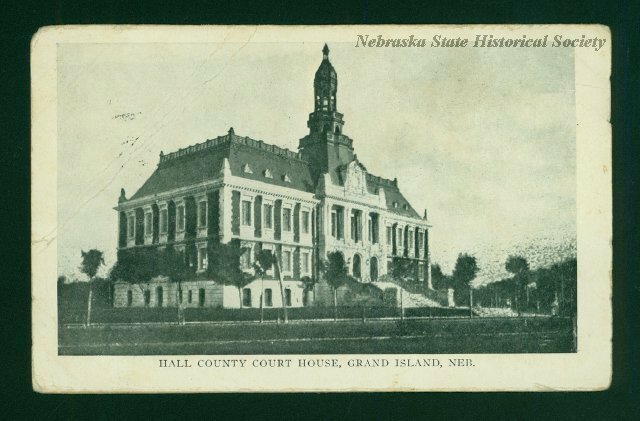 “Hall County Courthouse,” Explore Nebraska History, accessed April 18, 2019, https://mynehistory.com/items/show/261.